PLEASE CLICK HERE to Make a Donation of ANY AMOUNT to help Natural Resources Defense Council in their Legal Actions to SAVE AMERICA’S WOLVES. 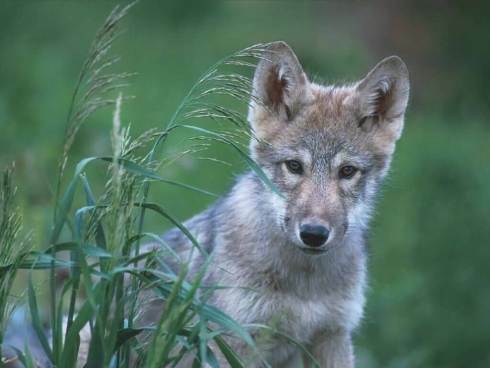 Don’t Let the Obama Administration Throw Wolf Recovery into Reverse! We must stop the administration from stripping gray wolves of their crucial protections under the Endangered Species Act across most of the lower 48. Please help NRDC mobilize a vocal, nationwide opposition to this reckless plan, challenge it head-on during the period of public review and take the Fish and Wildlife Service to federal court, if that’s what it takes to block this senseless attack on wolf recovery. Please send your gift to defend our environment in the most effective way possible. KETCHUM, Idaho — IT has been celebrated as one of the great victories of the Endangered Species Act of 1973. After several decades of federal protection, gray wolves — once nearly wiped out in the continental United States — have reached a population of roughly 6,100 across three Great Lakes states and seven Western states. But this success has been only partial. The centuries-old war against wolves continues to rage, particularly in states where the species has lost federal protection in recent years, as management of wolf populations was turned over to the states. On Friday, the federal Fish and Wildlife Service put forward a proposal that would make matters even worse. It proposed stripping the remaining federal protections for the gray wolf in the rest of the United States (with the exception of the extremely rare Mexican gray wolf in Arizona and New Mexico). Removing gray wolves from the national endangered species list in the areas where they are still protected would be a mistake. The protections should remain, so that the species can continue its recovery and expand its range, just as the bald eagle and the alligator were allowed to do. The new proposal, which will be open for a 90-day public comment period, is the latest step in the federal government’s effort to turn wolf management entirely over to the states and wash its hands of the animal, which has long been in the cross hairs of powerful hunting and livestock interests. Wolves are already under state rather than federal control in Michigan, Minnesota, Wisconsin, Idaho, Wyoming and Montana, which are home to about 97 percent of the gray wolves in the lower 48 states. Wolf management in those states is often driven by politics, and wolves are being killed at alarming rates in the name of sport in all but Michigan. For instance, most of the nearly 1,700 wolves surviving in the West lived in Montana, Idaho and Wyoming at the end of 2012. Those states now have recreational hunting and trapping seasons, and in the past two years, nearly 1,200 wolves have been killed. Nearly 400 more were killed for attacking livestock. Wolves are highly social. They live in packs, which for the most part are extended families of parents, aunts, uncles, brothers and sisters, all sharing in the tasks of sustaining and providing for the whole. Their teamwork and intelligence fascinate researchers, but throughout history, in folklore and fairy tales, wolves have been portrayed as voracious and formidable, cunning and sinister. If you really want to understand wolves, though, consider the dog. Studies analyzing mitochondrial DNA have concluded that dogs are derived from wolves and are closely related. In most ways, they are the same genetically, behaviorally and emotionally. Last year, wolves killed 645 of the estimated 7 million cattle and sheep in Idaho, Montana and Wyoming. Those wolves can be killed legally; a federal fund also compensates farmers and ranchers for their losses. But these predators are critical components of the ecosystem, a so-called keystone species. Their presence can keep populations of browsing animals in check and on the move, allowing vegetation to regenerate. They are true ecological assets, but not if they are reduced to ecologically irrelevant numbers. The problem is that wolf management continues to be hijacked by hunting and livestock interests. Of the six states with the vast proportion of the wolf population, only Michigan has yet to hold a hunt, but one is now slated for November. A measure to protect the wolves will be on next year’s ballot, but Gov. Rick Snyder, a Republican, recently signed a law that could make the outcome meaningless. In Idaho, hunters and trappers killed 698 wolves in the last two seasons — more than the estimated population of 683 wolves in the state at the end of 2012. In more than 80 percent of Wyoming, anyone can kill as many wolves as they wish, without a license. Hunters and trappers in Montana will each be allowed to kill up to three wolves this winter. (In Idaho, the number is 10.) Beginning this fall, hunters in Wisconsin can use dogs to track and chase wolves — a scenario that all but amounts to state-sanctioned animal fighting. Where management has been transferred to the states, America’s wolves have fallen under an assault of legislation, bullets and traps. A conservation victory is quickly turning into a conservation tragedy. Now the Obama administration is proposing to remove virtually all remaining protections. Have we brought wolves back for the sole purpose of hunting them down? Jim Dutcher and his wife, Jamie, are the producers of the documentary film “Living With Wolves” and the authors of “The Hidden Life of Wolves.” They founded the conservation organization Living With Wolves, where Mr. Dutcher’s son, Garrick, is the program director. A version of this op-ed appeared in print on June 8, 2013, on page A19 of the New York edition with the headline: Don’t Forsake the Gray Wolf. Posted on June 10, 2013, in Animal Rights and tagged Endangered Species, Environment, Gray wolf. Bookmark the permalink. Leave a comment.